Akron Children’s CEO Bill Considine, Michelle O’Brien from Giant Eagle, Akron Children’s President Grace Wakulchik, and Showers Family Center Director Dr. Jeffrey Hord with the results of the Akron-area Giant Eagle register campaign. Giant Eagle’s eighth annual register campaign raised more than $130,000 for the hematology-oncology programs at Akron Children’s Hospital’s two campuses. Representatives from Giant Eagle presented a check for more than $46,000 to Akron Children’s Hospital Mahoning Valley on Aug. 23. The funds will be used to benefit the Akron Children’s Hospital Mahoning Valley Center for Childhood Cancer and Blood Disorders. Mahoning Valley Giant Eagle stores participated in the register campaign for the second year and raised more than $46,000. Fourteen area Giant Eagle stores participated by asking customers to donate a dollar or more to Akron Children’s Hospital at checkout over a four-week period. This is the second year Akron Children’s Hospital Mahoning Valley was involved in the campaign. 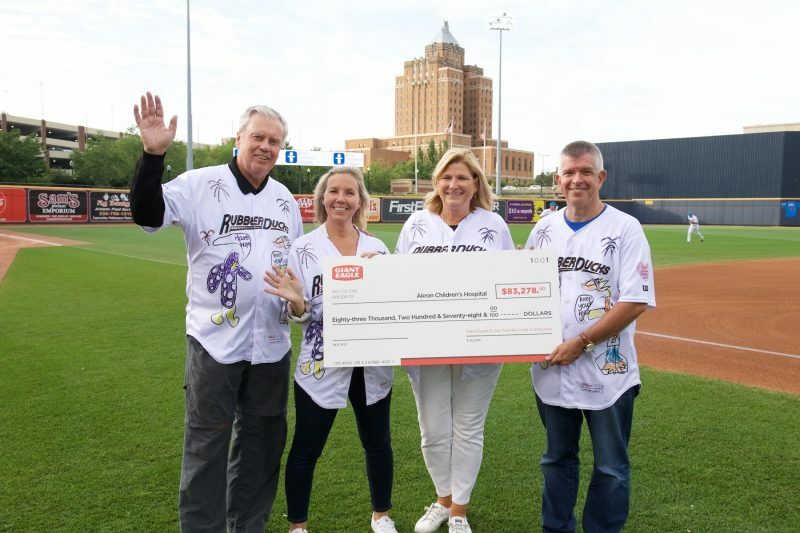 Giant Eagle representatives also attended the Hematology Oncology Celebration at the Akron RubberDucks game on Aug. 24 to present a second check for more than $83,000 to Akron Children’s Showers Center for Childhood Cancer and Blood Disorders. 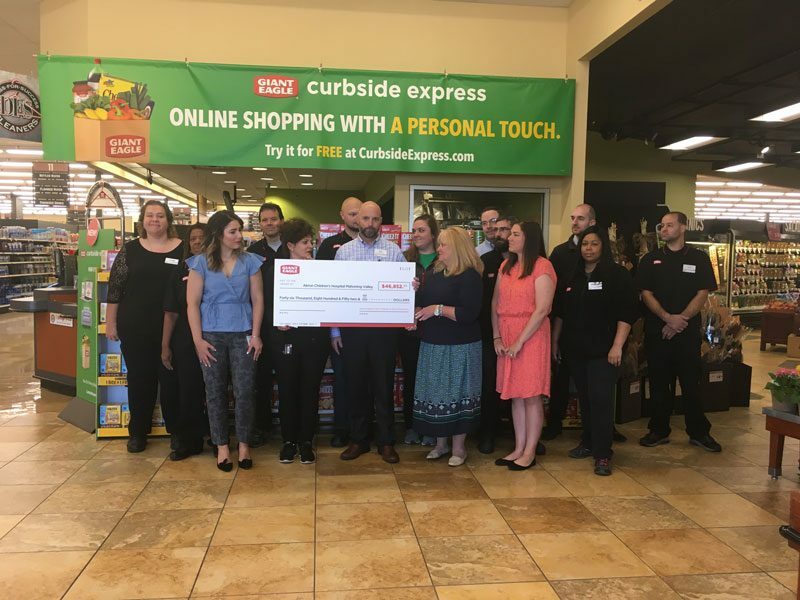 These funds were raised by 26 Akron-area Giant Eagle stores throughout this year’s register campaign. Since the partnership began, Giant Eagle has raised more than $500,000 for cancer and blood disorder patients at Akron Children’s. In recognition of that philanthropic milestone, the hospital named a recently remodeled outpatient kitchen in the Showers Center after Giant Eagle.